The question that comes up when people learn that Jack Heckel is the pen name of two different people is: how do you collaborate? It does seem right for a comedic fairytale to have some collaboration. 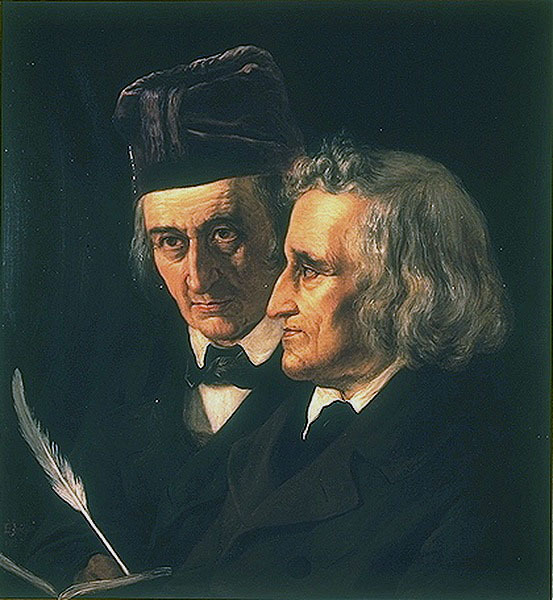 After all, the Brothers Grimm were collaborators. For us, everything starts with communication. Before we do anything, we make sure that we have a shared vision. We bounce ideas off of one another and then when they coalesce, one of us writes an outline and we review it together. This part is essential. By agreeing on the direction of the book, we have a baseline to discuss changes. If Will Pickett needs to change from a dreaming peasant, does our plan allow his character to develop? Without a written outline, we’d be lost. After we review the outline, we decide which chapters we’d like to write and present them to one another. If there’s a conflict, John always wins… I mean, Harry always wins… okay, we actually discuss our ideas for the chapter and so far, we’ve come to a consensus. We try to divide the work so one person isn’t writing while the other person is waiting. Once the writing begins, we write the chapters in order. After one of us finishes a chapter, it is sent to the other writer for a rewrite. Every chapter in the first draft is rewritten. This allows us to keep the same voice throughout the book. Additionally, whoever rewrites the chapter embellishes and even changes parts of the text. It then goes back to the original author for edits. And all this is before any beta readers or editors have had a chance to look at it. All of that sounds nice, but of course, nothing works perfectly. We’ve had plenty of situations where one or the other of us has gotten stuck. Day jobs and personal crises can also interfere with our well thought out schedule. When either of us runs into trouble, we text, get on the phone or even Skype or Facetime each other. Rarely, we might even meet in person, but we are several time zones apart. After talking through things, we may make some trades or one person takes on some extra work. We’ve both finished chapters that the other has started and stepped in to help tear down the other’s writing block. We agreed when we started that our partnership isn’t 50-50, but 100-100. Our goal is to have 100% written by both of us. We don’t keep score of how many words one person has written or even how many chapters. Honestly, how do you place the value on a single great line or idea which changes the course of a novel? Is that worth five words or fifty thousand? In our case, neither of us care, because the whole thing belongs to both of us. Our conversations are hilarious. We spend the entire time finishing each other’s sentences when the ideas fly fast, as we both try to come up with the same concepts. Fortunately, we have a fantastic friendship and usually such things only result in laughter. So, ultimately, Once Upon a Rhyme, really wasn’t written by Harry or John, but by Jack Heckel, who has his own unique voice, and one we both hope you enjoy. At this stage, we’ve lost track of who wrote the last version of this scene or that. We both remember who wrote the initial scene or chapter most of the time, but once the rewrites and revisions started, it all goes to happy madness. This entry was posted in Uncategorized and tagged Charming Tales, Collaboration, Happily Never After, Harper Digital Submissions, Harper Voyager Impulse, Harry Heckel, John Peck, Once Upon A Rhyme, Prince Charming, Writing with a co-author by jheckelauthor. Bookmark the permalink.